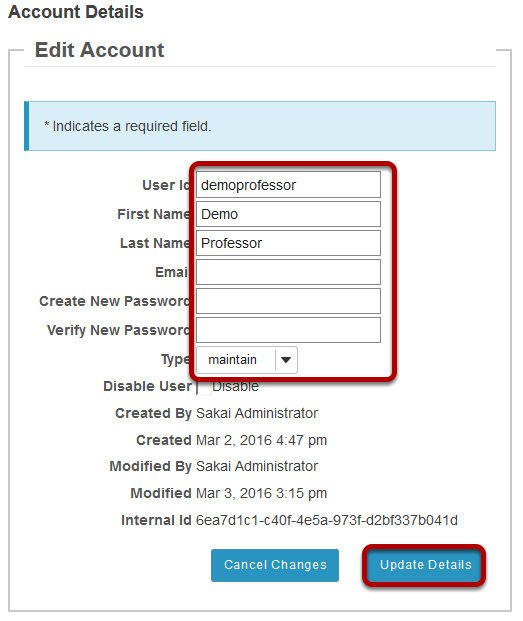 Sakai Community DocumentationSakai 11 - EnglishSakai 11 Administrator Guide UsersHow do I edit a user account? Note: To keep the existing password, leave both password fields blank. When you are finished editing, click Update Details to save the changes. Prev: How do I search for a user account? Next: How do I disable a user account?